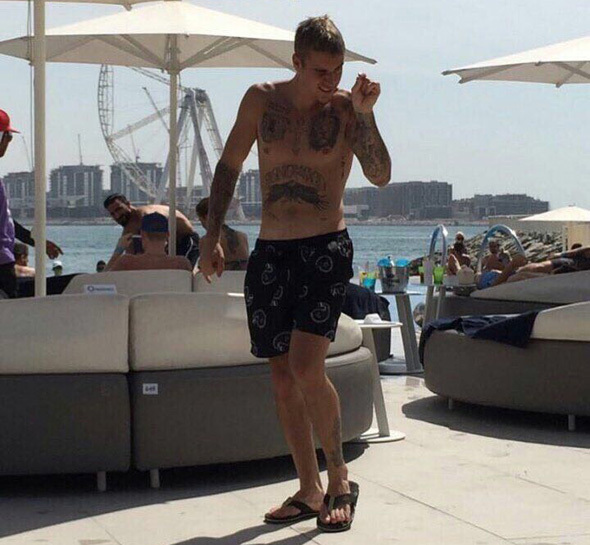 Brunch, beach clubs, camels, Dubai Mall – Justin Bieber’s long weekend in Dubai continues. 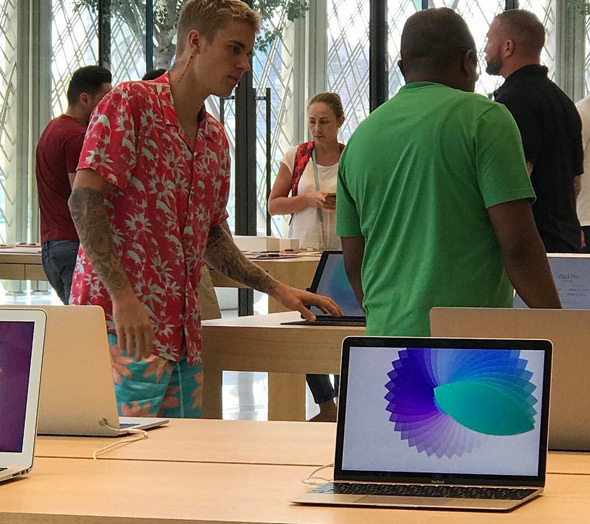 Justin Bieber was pleasantly punctual for his Dubai gig on Saturday night – taking to the stage just minutes after 8pm. And it turns out he’s still here too, having been spotted in Zero Gravity on Tuesday – his third visit to the club. He was spied dancing with guests in the pool, lazing on the golden swan (again) and getting some thrills on the doughnut rides. What we do know for sure is that the pop star is playing in Mumbai tomorrow night and so this is likely to be his last day in Dubai. 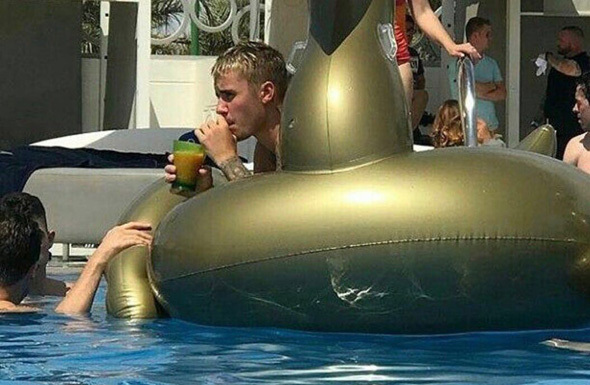 He was spotted hanging having breakfast, swimming and hanging out on a giant inflatable swan in Zero Gravity (for the second time – he also spent Friday there). 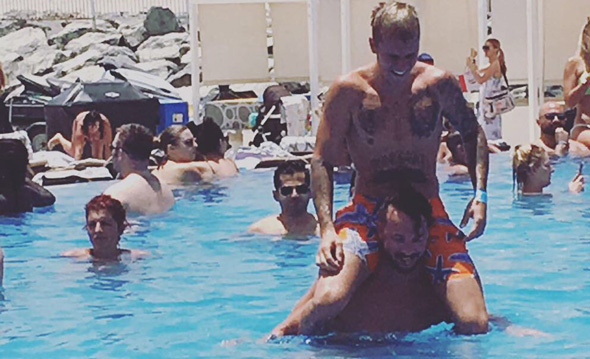 We can almost see our office tower from this pic – hi Biebs! Who doesn’t love an inflatable swan? He hit up Zero Gravity, Candypants brunch at XL and White Dubai all in just 24 hours. Good effort. He found some time to play a round of football at the Habtoor Grand (we know how hot it was this weekend, so power to him).